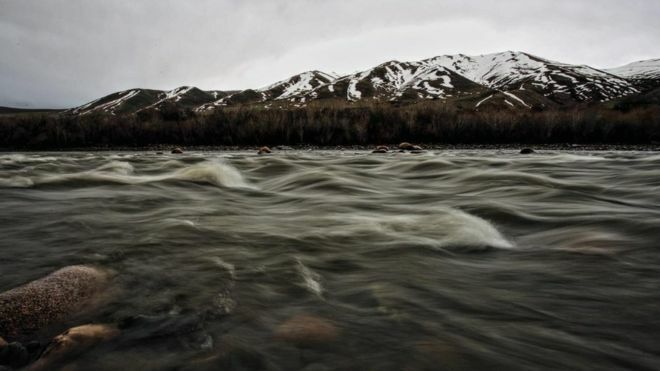 There have been some interesting articles in the media recently regarding potential conflict in Central Asia over water; linked to power generation and agricultural irrigation. Huckbody Environmental has been involved in several aspects of this story, both in hydropower and electricity distribution and therefore has a very good insight into the issues. A few years ago Andy Huckbody was commissioned by World Bank to undertake an HSE audit of the world’s largest hydropower project in Tajikistan, Rogun Hydropower. This lies at the heart of the water resource and power generation issue, being towards the top of the river cascade. 3 years ago Andy Huckbody was engaged by World Bank to undertake a regional EIA of the 2000km electricity power line, export and distribution system CASA http://www.casa-1000.org/ . In Central Asia, a crisis is brewing over water and electricity. The Soviet-era system in which the five countries of the region shared their resources has broken down, leaving some facing water shortages and others chronic power cuts. Instances of small-scale unrest have already occurred, but some warn this could be just the beginning. On a freezing night in January 2009 a catastrophic power cut plunged swathes of the Tajik capital Dushanbe into darkness. At one of the city’s maternity hospitals back-up generators failed and vital breathing equipment shut down, leaving doctors battling to keep two newborn baby girls alive. Saymuddin Dustov, father of one of the girls, Pariso, frantically rang around friends to find an alternative power source. For two hours, as his friends struggled to drag a 200kg (31-stone) generator up five flights of stairs in pitch darkness, Dustov sat in a cold, candlelit ward watching his daughter struggling to breathe. “I could see that she just didn’t have enough strength to keep going,” he says. At two in the morning, after a life lasting four hours, baby Pariso died. She was not the only child to die in Tajikistan that winter as temperatures plunged close to the lowest levels in living memory and the country’s faltering power supply network collapsed. The crisis was a stark demonstration that the complex network of shared power and water supplies that had served all five Central Asian republics in Soviet times was no longer working. This system was based around a simple principle. Three republics – Kazakhstan, Uzbekistan and Turkmenistan were rich in energy resources, while the other two – Tajikistan and Kyrgyzstan – had plentiful water supplies held in huge high-altitude reservoirs. They all had to work together to ensure there was water for the crops in the spring and summer, and electricity for everyone in the winter. Without water in the region’s two great rivers – the Syr Darya and the Amu Darya – vital crops in the downstream agricultural powerhouses would die. Without power, life in the upstream countries would be unbearable in the freezing winters. Then in 1991 the USSR fell apart and each country was left to face its problems on its own. “It was food security for the downstream countries versus energy security for the upstream ones,” says Moscow-based political scientist Andrei Kazantsev. Though they could have continued to share and co-operate – and for a few years they did – for the energy-rich downstream countries it was more profitable to sell gas and electricity to foreign buyers than to supply it to their penniless upstream neighbours. So Uzbekistan started selling electricity to Afghanistan in 2009, and pulled out of the Central Asian supply system altogether. Baby Pariso’s death was one of the consequences. Another was that Tajikistan and Kyrgyzstan had to start using more water to generate electricity in the winter, so less reached agricultural lands in Kazakhstan and Uzbekistan during the growing season. Now all across Central Asia more and more people are finding themselves short of either power or water. Asima Dalanbay is one. 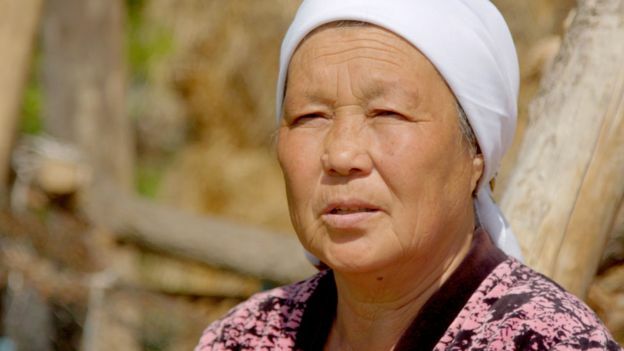 She’s been living in southern Kazakhstan for 40 years and used to make a good living growing sugar beet. However, seven years ago – in the fateful year 2009 – the water supply from across the border in Kyrgyzstan dried up. Now she grows what she can with water laboriously pumped from a borehole, but parched, barren fields surround her home, stretching as far as the eye can see. Like her children and many of her neighbours, Asima is thinking of leaving. But some parts of Kyrgyzstan also rely on water from across an international border. Retired school teacher Kapar Toktoshev doesn’t look like the kind of person to get involved in a mass brawl, but in 2014 that’s exactly what happened. “This is where we confronted Tajiks when they turned off the irrigation water in the summer,” he explains as we walk up a dusty road on the edge of his village high up in the mountains on the Kyrgyz-Tajik border. Although Kyrgyzstan has plentiful water reserves, in the Soviet era the village was supplied with water from the nearest reservoir, which just happened to be in Tajikistan. After independence in 1991 this minor fact of geography became much more important – and it didn’t help that populations on both sides of the border were growing. 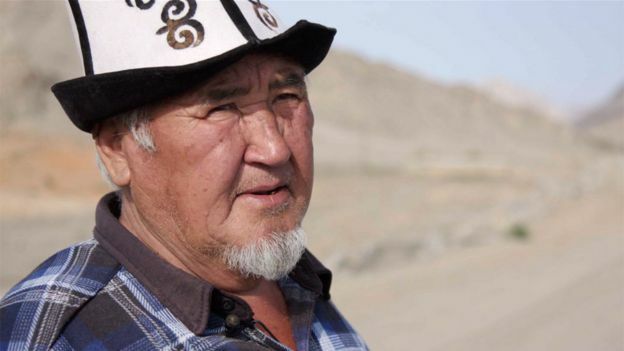 “The Tajiks diverted the river to their own fields and our crops started dying,” says Toktoshev. He shows me his own garden. It’s a bleak plot covered in dry grass and some spindly apricot trees. There is a clear risk of more incidents like this, but there is also the potential for political instability within any of the five countries. Some argue that the unrest which led to the violent overthrow of Kyrgyz President Kurmanbek Bakiyev in April 2010 was partly triggered by public fury at power cuts and rising energy prices. When Uzbekistan withdrew from the central power supply system in 2009, Kyrgyzstan had to install expensive new power lines, and the cost of electricity roughly doubled at the start of 2010 in order to pay the bill. Domestic heating costs rose even more steeply. There have been shortages in Uzbekistan too, in the wake of the decision to sell gas and electricity to foreign buyers. In many small towns and villages people now live with just a few hours of power a day, while gas in large areas of the country has become a distant memory. A school teacher in the Fergana Valley recently told the BBC – despite the risk of being punished for dissent – that hardly any trees were now left in his home town, Rishtan, because of the demand for firewood. “Even our schools don’t have fuel,” he said. “Every day the pupils take turns to bring in firewood from home to heat the classroom. This is how our children study in winter. Bad government, corruption and human rights abuses are coupled with soaring prices and mass migration in search of work across the region. Add into the mix the growing numbers of disaffected young men joining extremist groups, and the fact that war in Afghanistan is edging ever closer to the Uzbek and Tajik borders, and nightmare scenarios are not hard to imagine. “No-one really knows what kind of explosion this could lead to – and when,” says Kazakh analyst Rasul Jumali. For Tajikistan and Kyrgyzstan the obvious solution to their chronic power problems would be to build more power stations, and both have hatched ambitious plans. The biggest project currently on the horizon is the massive Rogun hydroelectric plant in the mountains of southern Tajikistan, which could become the highest dam in the world (335m) if investors can be found to finance it. Its reservoir would take 16 years to fill to capacity, with obvious knock-on effects for the Amu Darya in Uzbekistan and Turkmenistan. But the plant would transform Tajikistan into a major regional energy supplier, and make the power cuts that cost baby Pariso her life a thing of the past. Uzbekistan’s strong-man president, Islam Karimov, who died in September, made no secret of his objections to Rogun – and to a smaller project at Kambarata in Kyrgyzstan. “What will happen to those who live in the downstream countries?” he asked in an angry speech in 2012. Meanwhile ordinary people do what they always do and try to get by. In the village of Tajmahal, in the mountains of eastern Tajikistan, father of four Shodmon Kholov is getting ready for the winter. Once upon a time Shodmon and his family had 24-hour electricity to heat their home. Now they rely on more basic methods. As I visit, the whole family is busy making briquettes out of cow dung, which they will use to keep the stove burning through the cold winter months. Ironically, Kholov’s home is just 20 minutes’ drive from Tajikistan’s main hydroelectric power station, Nurek. It was built in 1961 and produces two-thirds of the electricity currently consumed in the country, but this is nowhere near enough to meet demand. “With time they sort it out and we’ll have power round the clock,” he says. But he could be in for a very long wait. This entry was posted in Uncategorized on October 26, 2016 by webmaster.